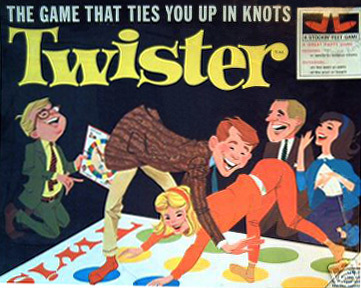 I think Naked Twister is a fad on some college campuses even today. LOL! Yeah, I remember Twister suddenly taking on. . . um. . . "new dimensions" as I grew up. . . Still around. My kids recently got a set.